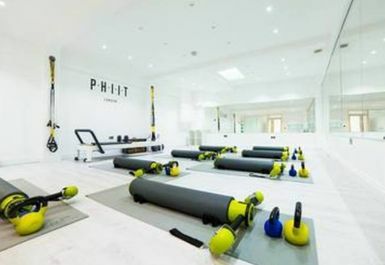 PHIIT London is a luxury Pilates & HIIT studio in the heart of Fulham. PHIIT specialises in dynamic Pilates on the latest MOTR Reformer and HIIT creating a one-stop destination for strength training, cardio, athletic conditioning, weight loss and more. 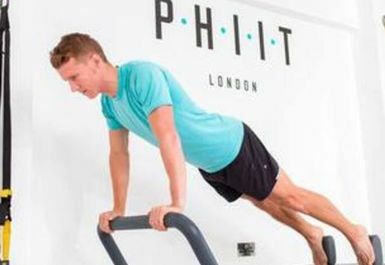 PHIIT was created to provide busy and PHIIT-ness loving Londoner’s a complete workout all under one roof. This studio offers a carefully crafted workout scientifically proven to build lean and toned bodies for you to look amazing from the inside out, incorporating Pilates and High Intensity Interval Training to provide your body with the ultimate workout that will target every muscle and challenge every aspect of your fitness. Offering 3 signature classes, PHIIT is able to give you the diversity in workouts that you need to build a strong and 'PHIIT' body that is functional and healthy for your everyday lifestyle. Situated on North End Road, a short walk from West Brompton overground and Fulham Broadway tube station.